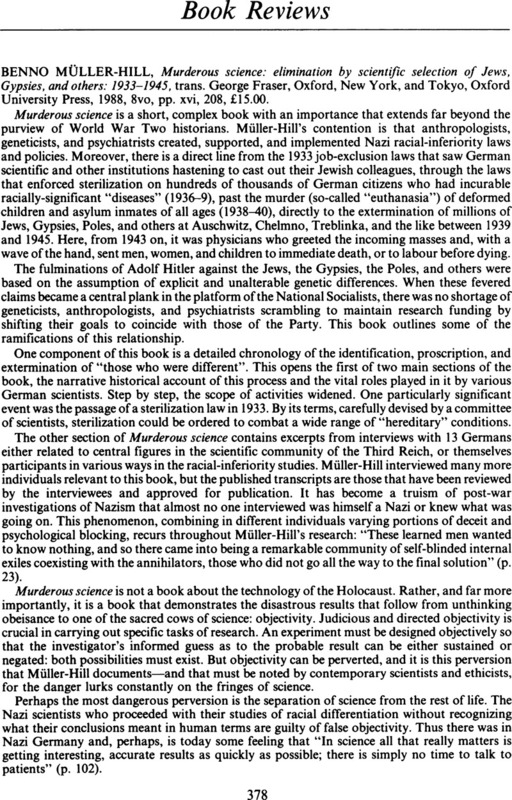 Benno Muller-Hill, Murderous science: elimination by scientific selection of Jews, Gypsies, and others: 1933–1945, trans. George Fraser, Oxford, New York, and Tokyo, Oxford University Press, 1988, 8vo, pp. xvi, 208, £15.00.